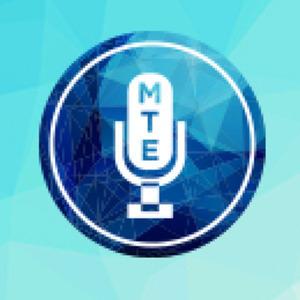 4 episodes of Mathematics Teacher Educator Podcast since the first episode, which aired on January 29th, 2019. Using visuals is a well-known strategy to teach emergent bilinguals (EBs). This study examined how preservice teachers (PSTs) implemented visuals to help EBs understand mathematical problems and how an innovative intervention cultivated PSTs’ capability of using visuals for EBs. Four middle school mathematics PSTs were engaged in a field experience with EBs to work on mathematical problems; during the field experience, the PSTs received interventions. In one intervention session, the PSTs were asked to make sense of a word problem written in an unknown language with different visuals. After this intervention, they changed their use of visuals when modifying tasks for EBs. The results suggest that immersive experiences where PSTs can experience learning from the perspective of EBs helps PSTs implement mathematically meaningful visuals in a way that makes mathematical problems accessible to EBs. Episode 3: Assessing Prospective Teachers’ Analysis of Teaching: How Well Can They Link Teaching and Learning? One goal in teacher education is to prepare prospective teachers (PTs) for a career of systematic reflection and learning from their own teaching. One important skill involved in systematic reflection, which has received little research attention, is linking teaching actions with their outcomes on student learning; such links have been termed hypotheses. We developed an assessment task to investigate PTs’ ability to create such hypotheses, prior to instruction. PTs (N = 16) each read a mathematics lesson transcript and then responded to four question prompts. The four prompts were designed to vary along research-based criteria to examine whether different contexts influenced PTs’ enactment of their hypothesizing skills. Results suggest that the assessment did capture PTs’ hypothesizing ability and that there is room for teacher educators to help PTs develop better hypothesis skills. Additional analysis of the assessment task showed that the type of question prompt used had only minimal effect on PTs’ responses. This article shares the authors’ use of written teaching replays as part of a professional development experience for beginning secondary mathematics teachers. This form of narrative writing is inspired by Horn’s (2010) descriptions of teachers sharing their practice in professional learning communities. In this study, written teaching replays are used to gain insights about what beginning teachers noticed about their teaching practice and whether these noticings highlighted dilemmas or successes in their teaching practice. The analysis of teaching replays indicated that, despite being in their first years of teaching, these beginning teachers’ narrative writings focused least on management issues. Instead, the writings had a strong focus on mathematics or teaching mathematics as well as on social issues within their classrooms. These findings counter the research literature that suggests beginning teachers are overwhelmingly concerned with classroom management. The authors conclude with their reflections on the potential of this form of narrative writing for beginning teachers and how it could be used by other mathematics educators. The literature has shown that preservice elementary school teachers (PSTs) struggle to adequately attend to a number’s multiplicative structure to determine divisibility. This study describes an intervention aimed at strengthening preservice and in-service teachers’ procedural knowledge with respect to using a number’s prime factorization to identify its factors, and presents evidence of the impact of the intervention. Results point toward improved abilities to use a number’s prime factorization to sort factors and nonfactors across four factor subtypes, to create factor lists, and to construct numbers with particular divisibility properties. Implications for mathematics teacher education include providing specific materials and strategies for strengthening preservice and in-service teachers’ procedural knowledge.